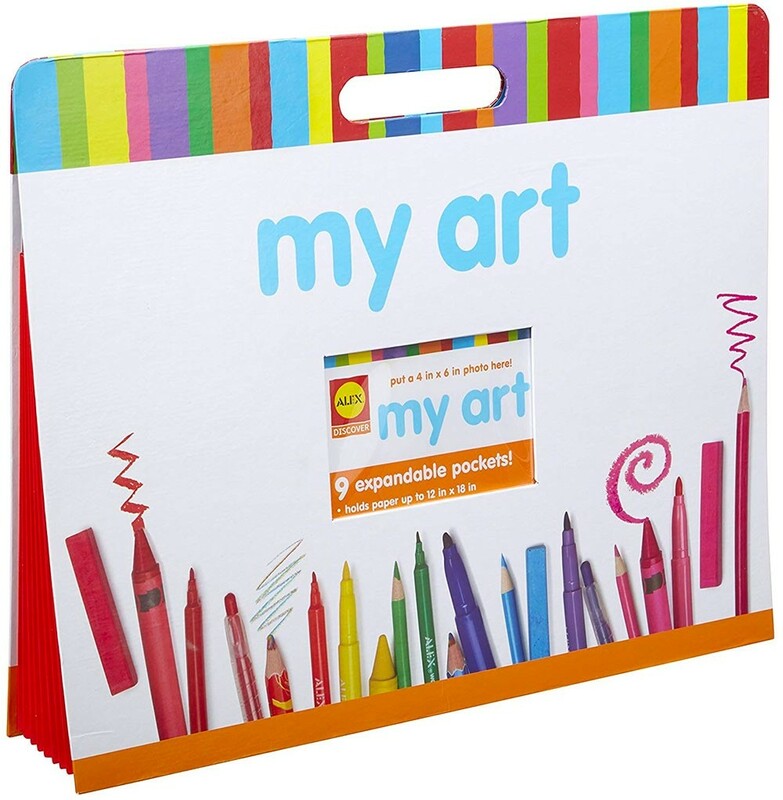 Here's a great way to cherish and preserve all your child's beautiful artwork! 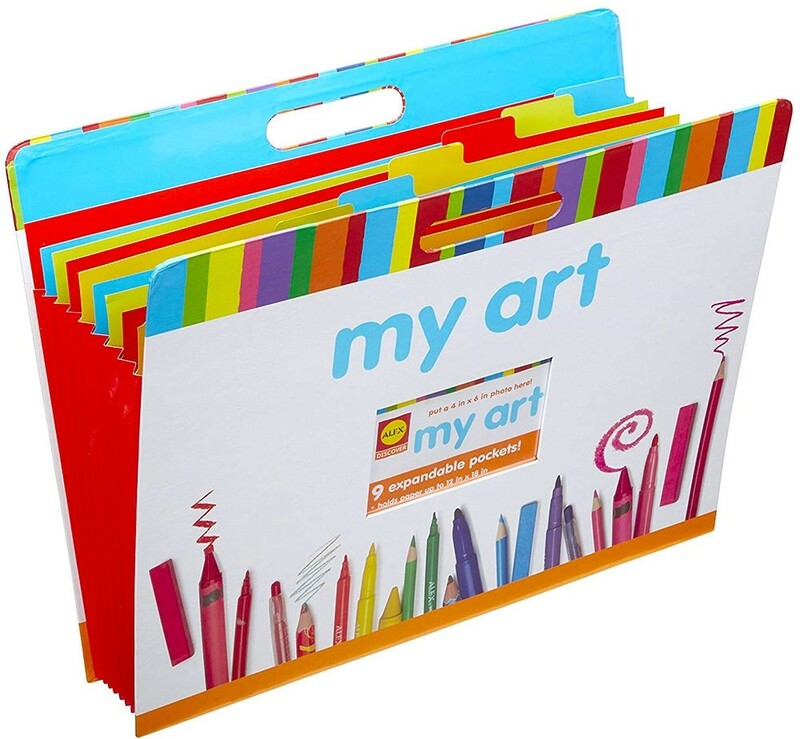 This colorful storage case has nine expandable accordion pockets that hold sheets up to 12" x 18". 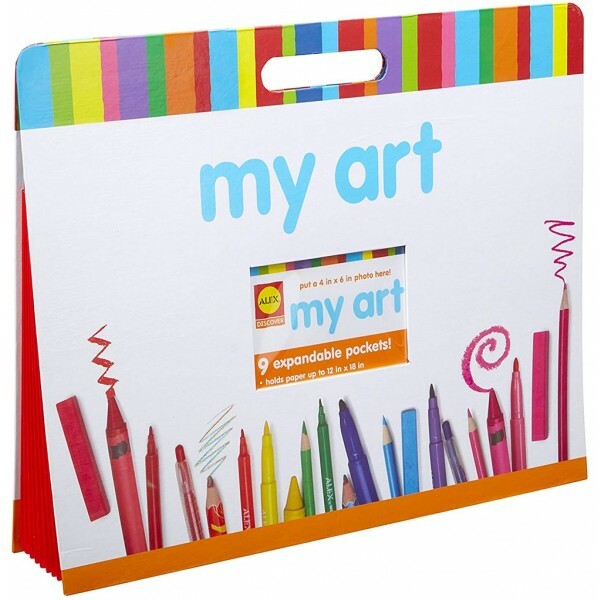 It also includes a front pocket for a 4" x 6" photo of your little artist.